Hewlett Packard - 319956-002 319956-002 HP Nvidia Geforce4 MX440 AGP 8X 64MB Graphics Card. New Bulk Pack. 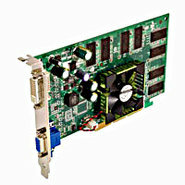 ATI - 100-435105 ATI TECHNOLOGY - ATI RADEON 9800 PRO AGP 8X 256 MB DDR DVI VGA/RCA/S-VIDEO GRAPHICS CARD(100-435105). NEW BULK. IN STOCK. SHIP SAME DAY. 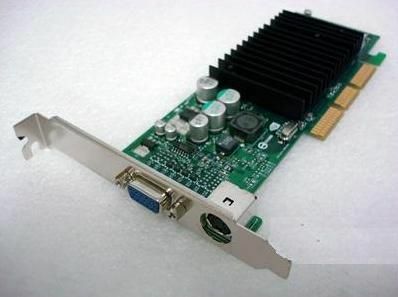 ATI - 100-435002 ATI - RADEON 9800 PRO 128MB AGP 8X DDR DVI TV OUT GRAPHICS ADAPTER W/O CABLE(100-435002). CLEAN TESTED. IN STOCK. SHIP SAME DAY. ATI - 100-435005 ATI TECHNOLOGY - ATI RADEON 9800 PRO AGP 8X 256 MB DDR SDRAM GRAPHICS CARD WITH VGA CARD DRIVERS CD DVI TO VGA ADAPTER(100-435005). NEW BULK. IN STOCK. SHIP SAME DAY. Hewlett Packard - 313287-001 313287-001 HP ATI Fire Gl9700 AGP 8X 256MB DDR SDRAM Dual DVI Graphics Card. New Bulk Pack. Hewlett Packard - 433513-001 433513-001 HP Genuine Nvidia Quadro FX1100 3D 128MB AGP 8X 2X DVI 1X mini Din Graphics Card W O Cable. New Bulk Pack. 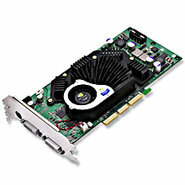 Hewlett Packard - 345854-001 345854-001 HP Nvidia Quadro FX 3000 256MB AGP 8X Dual DVI DDR Graphics Card W O Cable. New Bulk Pack. Hewlett Packard - 308961-004 HP/COMPAQ - QUADRO4 980 XGL 128MB AGP8X DUAL DVI DDR 3D GRAPHICS CARD W/O CABLE(308961-004). NEW BULK. IN STOCK. SHIP SAME DAY. Hewlett Packard - 313285-001 NVIDIA QUADRO4 980 XGL AGP 8X GRAPHICS CARD PN: 313285-001. FOR XW8000. 308961-004. Hewlett Packard - 345854-001 HP/COMPAQ - NVIDIA QUADRO FX3000 256MB AGP8X DUAL DVI DDR GRAPHICS CARD W/O CABLE(345854-001). NEW BULK. IN STOCK. SHIP SAME DAY. Hewlett Packard - 308961-003 HP/COMPAQ - NVIDIA QUADRO4 980 XGL 128MB AGP 8X DUAL DVI DDR SDRAM GRAPHICS CARD W/O CABLE(308961-003). NEW BULK. IN STOCK. SHIP SAME DAY. Hewlett Packard - 308961-002 HP/COMPAQ - NVIDIA QUADRO4 980 XGL 128MB AGP8X DUAL DVI 3D GRAPHICS CARD W/O CABLE(308961-002). NEW BULK. IN STOCK. SHIP SAME DAY. Hewlett Packard - 313285-001 HP/COMPAQ - NVIDIA QUADRO4 980 XGL 128MB AGP8X GRAPHICS CARD W/O CABLE(313285-001). NEW BULK. IN STOCK. SHIP SAME DAY.